I couldn't resist sneaking a shot in when I was over at Linda's. 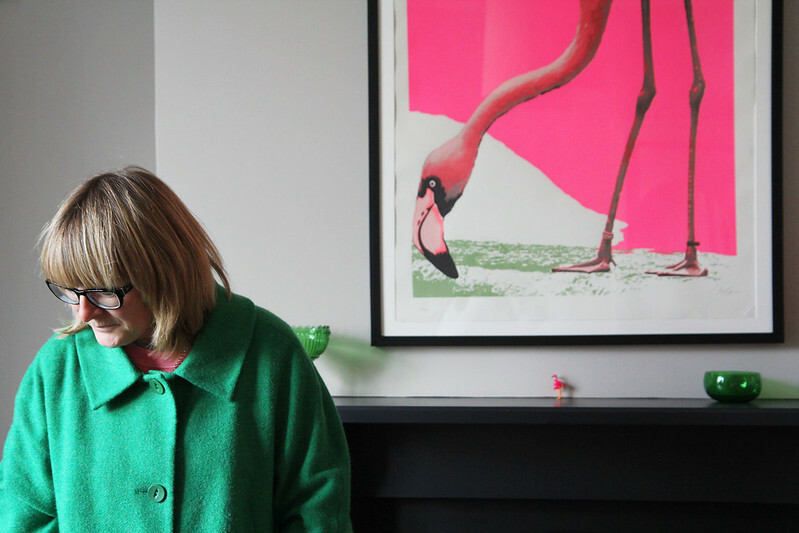 The green and pink accents in her outfit match the decoration on her mantelpiece and framed picture of a flamingo. I've made her promise me to photograph her house at a later date.